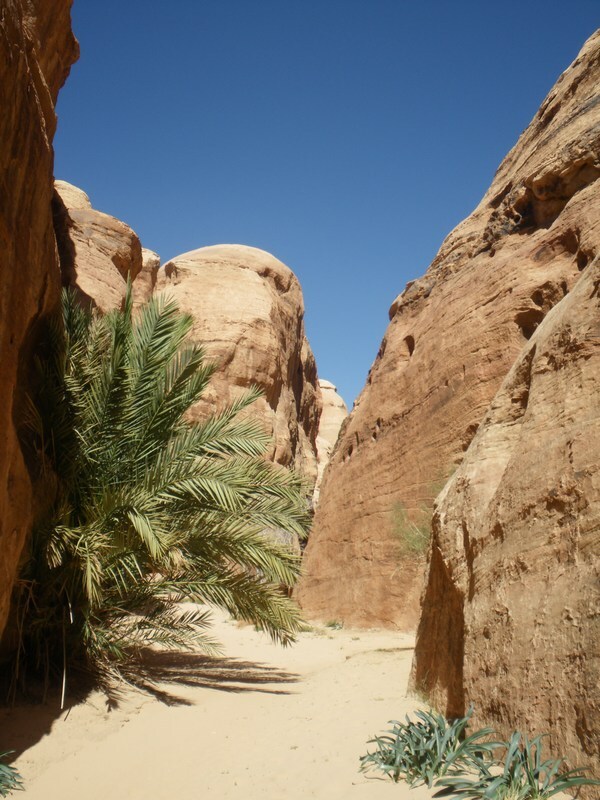 Take two days to follow in the footsteps of Bedouin tradition, walking through wide sandy valleys beneath dramatic sandstone mountains and traversing narrow, hidden canyons. The « nomadic trek » is a two days and two nights trek. The departures are guaranteed from 2 people to 8 people. We have departures everyday at 9.30 am. If you would like to join this trek, please contact us to check booking status. We can also offer you a private, longer or shorter trek. Arrival in the village at 9.00am, time to drink tea and to meet your bedouin guide. 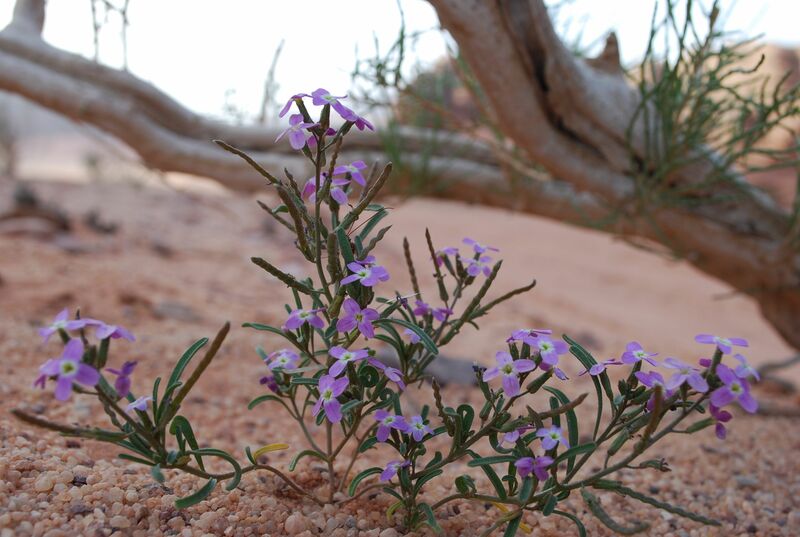 Then you will start walking from Wadi Rum village through Um Ishrin valley, the Red sand dunes and the nabatean inscriptions of An Fashiyeh. After a good bedouin lunch cooked on the spot and a pleasant nap, you will continue through Um Zergah valley and reach the mountain of Abu Hassaran where you will have dinner and spend the night in our bedouin camp. 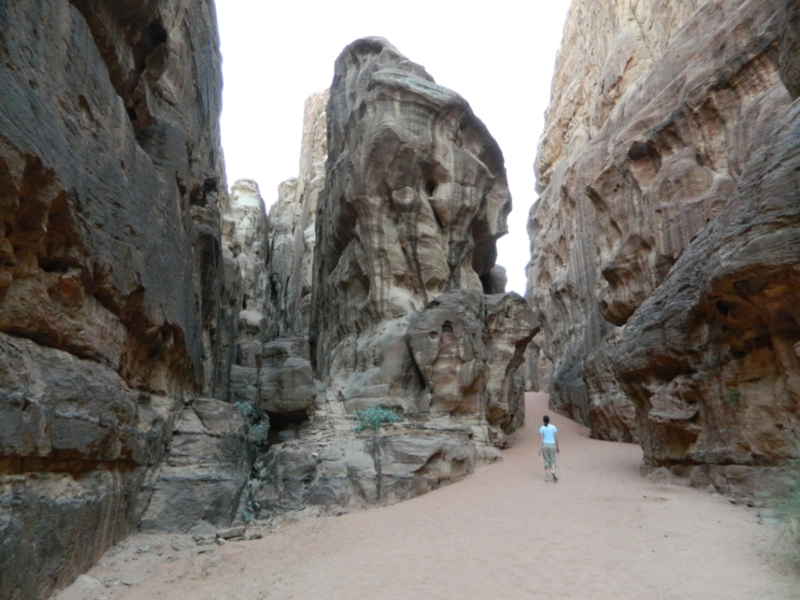 After breakfast, you will walk through beautiful narrow canyons on the way to Jebel Burdah. After lunch you will continue to the natural rockbridge of Um Fruth and you will have the chance to climb it up. 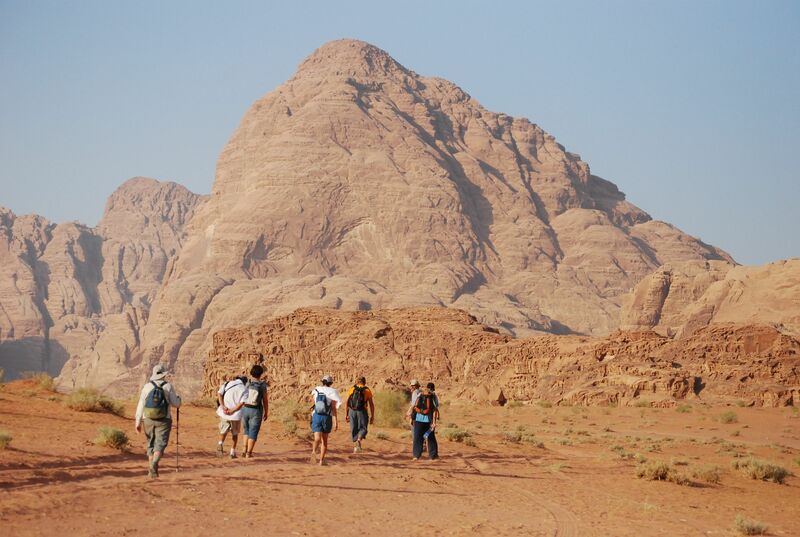 Then you will walk back to the camp through Abu Rshebie valley. Dinner and night in our bedouin camp. The next morning we will drive you back to the village after breakfast, by 8:30am. Prices are per person and in Jordanian Dinars (JOD). Payment by cash only, we can not take payment by credit card. 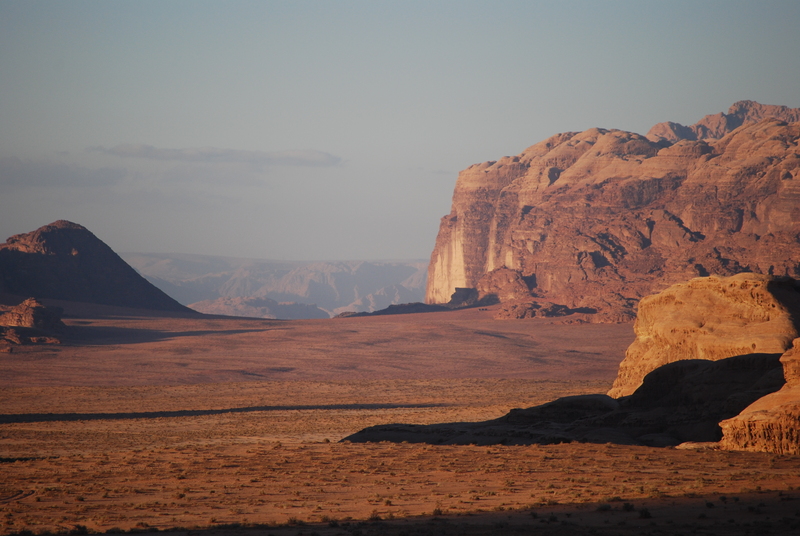 (please, note that there is no ATM around Wadi Rum, the closest is in Aqaba or Petra). You will never be more than 6 people sharing a tour. Our degressive price is applied per reservation. (If you are 2 people and join other 2 people already with us, we will charge the 2 pax price). For a private tour, please add an extra 40JD/group/day ( from 5 people, we don’t apply this extra charge). If you are more than 8 people together, contact us for our group rates. 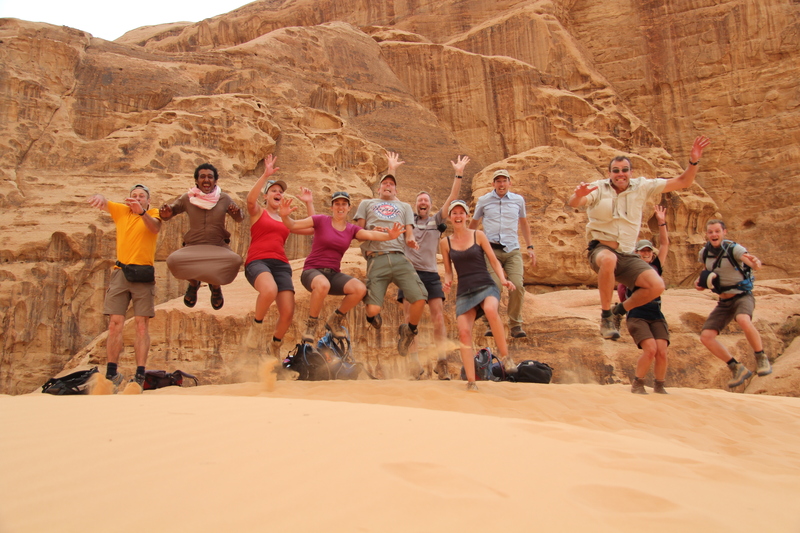 If you want us to organise your travel in Jordan as well as in Wadi Rum, contact us for a tailor made program with prices. Our bedouin camp is located deep inside the protected area of Wadi Rum, 10 km away from Wadi Rum village in the valley of Abu Hassaran. 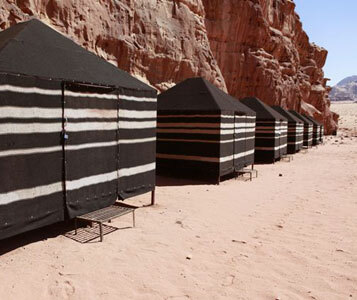 We provide all the accomodations to spend an unforgettable night in the desert. For more privacy and intimacy, we provide PRIVATE bedouin tents, traditionaly called “beit shar”, carefully builded with high quality materials, you won’t have to sleep in a tent with other people.